Get ready to teach your kids all about pilgrims with these crafts that are perfect for Thanksgiving! They are the perfect educational tool but are still easy and fun. Need ideas for the kid's table at your Thanksgiving feast? Use one or all of these ideas! A few of these crafts could also double as party favors for your guests to take when they leave your home. Craft these crowns for all of your Thanksgiving guests to wear at the dinner table. These are easy to make and only take a few minutes. How adorable are these paper tube pilgrims? Use this craft as a way to keep your kids entertained while you're cooking Thanksgiving dinner. Using a few paper plates, you can create this fun and easy pilgrim craft with your kids. Perfect project for the kid's table at Thanksgiving. This is a simple learning craft and game that your kids are going to love. Perfect for learning their letters! Turn popsicle sticks into a pilgrim hat with this craft. It's as easy as pie! We love how useful this pilgrim hat craft is. Store crayons in them to color at the kid's table. 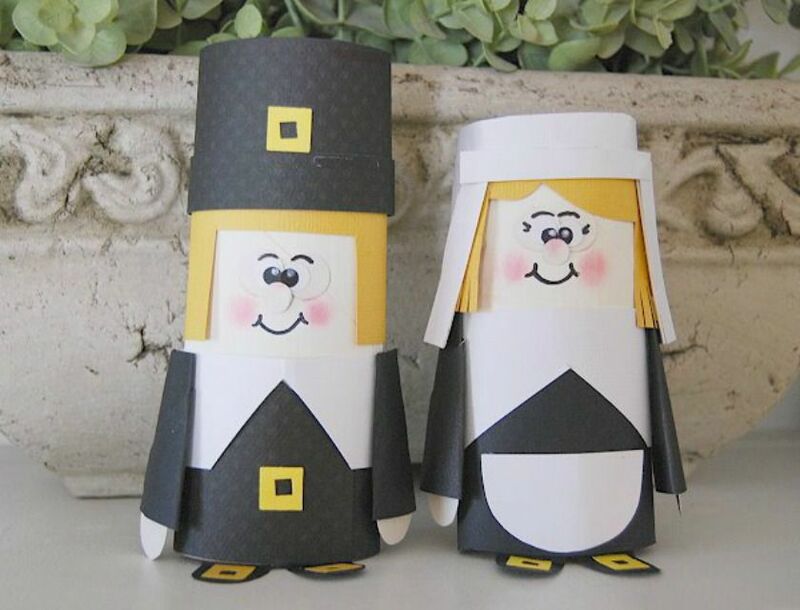 These cute pilgrims have a little surprise hiding inside of them. A popcorn bag! This is the perfect favor idea for all of your Thanksgiving guests. Take this teaching moment to teach your kids all about the Mayflower while making this craft. Using some brown paint and your child's handprint, they can make their own Mayflower.